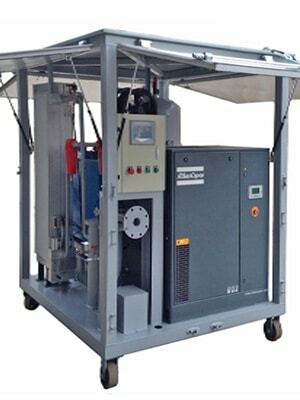 KLEANOIL Dry Air Generator can provide air drying circulation inside transformer, replacing the traditional hot oil circulation method. It is suitable for the supply of dry air during the overhaul of large-scale power transformers. The dry air can ensure that the internal insulation of the power equipment will not be affected by moisture, and maintenance workers will not suffer from oxygen deficiency when working inside the equipment. It is safer, more reliable, economical, and convenient than using nitrogen. With the help of dry air generator, transformer overhaul can be performed during day and night, regardless the weather condition. The air drying system also shorten the maintenance schedule, improve the quality of inspection results. 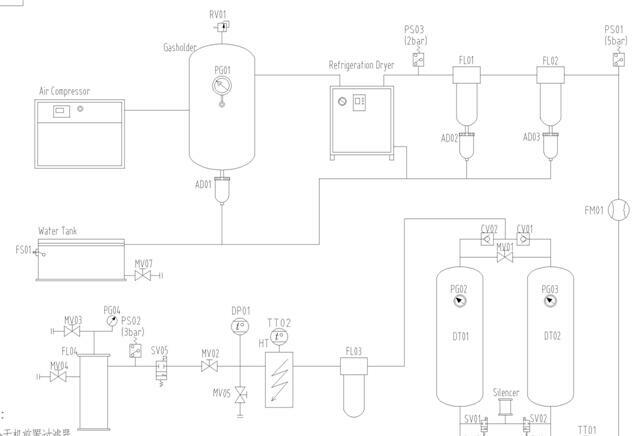 The A/B adsorption tower is used, and the dehumidification and regeneration are performed alternately automatically, which is highly efficient and robust. 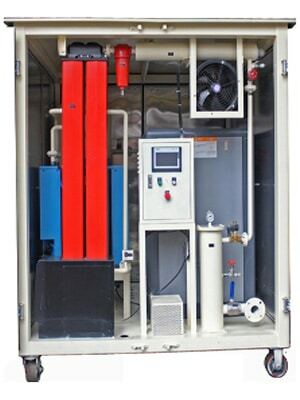 The use of screw air compressors, low-temperature condensation to remove water and other technologies. Small size, light weight, simple operation, energy saving, safe and reliable use. Comprehensive use of the scientific combination of the advantages of cold-drying machine, suction dryer, ultra-fine filtration, etc. 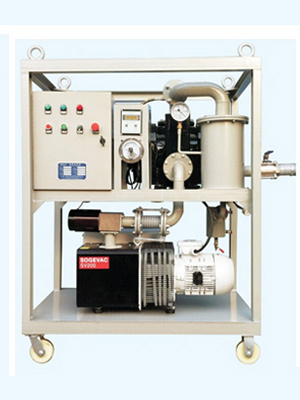 to produce high-quality, low-dew-point dry air. 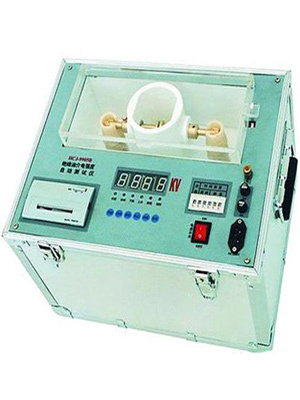 The machine is integrated design, optional PLC automatic control, automatic detection of various operating parameters, compact and reasonable structure, good drying effect, low regeneration gas consumption, long working life, good use of composite desiccant, life expectancy than ordinary adsorption The agent is more than three times longer. 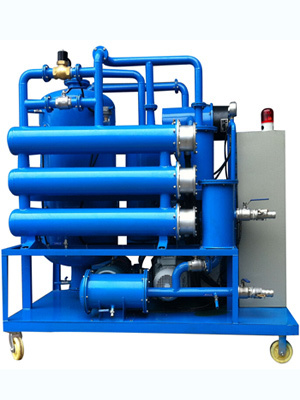 Regeneration adsorption dehydration technology, high-precision coalescence oil removal dehydration filter, 0.01μm precision filter to ensure the cleanliness of the air, easy operation, energy conservation, safety and reliability.